Portal got started by two college students’ project, named Narbacular Drop. A dungoen crawler that featured innovative portal mechanics, it was quickly noticed by Valve, acclaimed developer of the Half Life series. 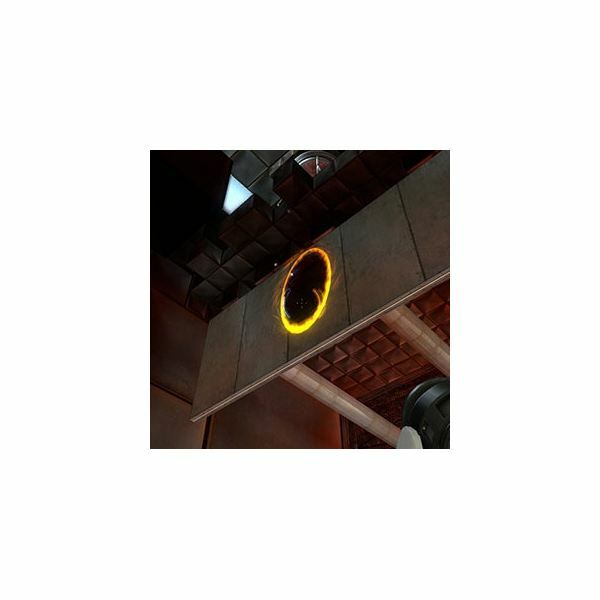 After hiring the two students behind the project, Valve set out to make a side-story using portal mechanics, involving aspects of Half Life. 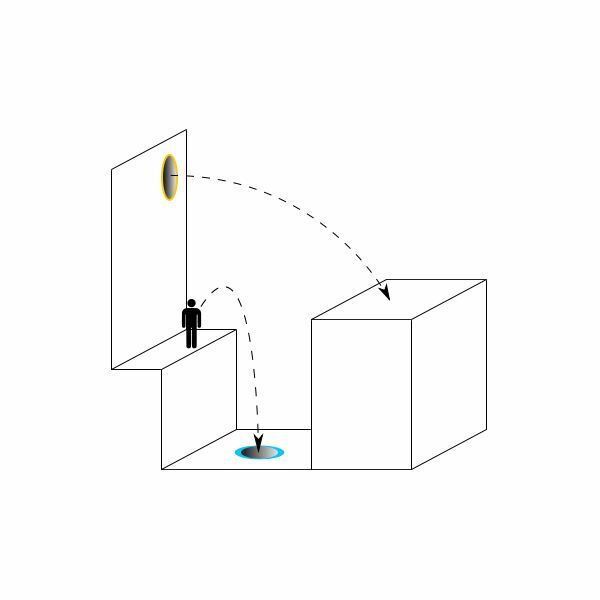 The crux of the gameplay involves going between portals. Blue and orange portals connect each other, and players can walk through portals (fired anywhere onto walls, floors, and ceilings) to get to each level’s exit. This bewildering mechanic is introduced slowly, at first involving pre-placed portals, then giving the player a portal gun that can fire one type of portal, until finally allowing the player to manipulate both portals at will. Much of the puzzles involve "simply" spatial navigation, although even that can be difficult to figure out. Later levels will add switches and blocks, traps, enemy turrets, elevators, and momentum. 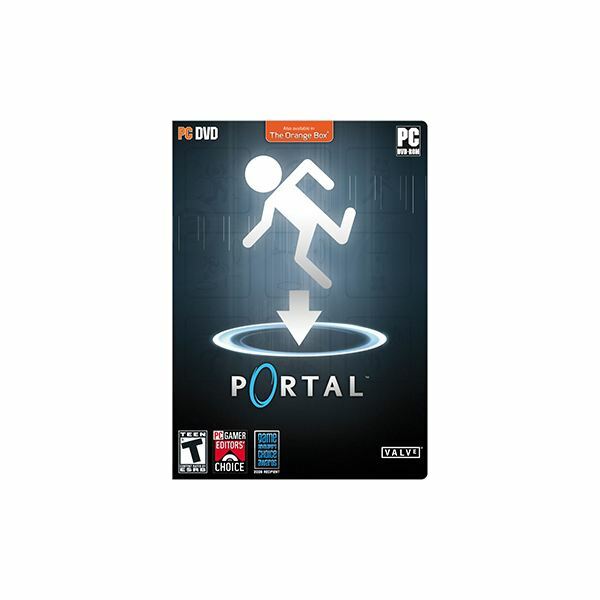 Portal is one of the first few games that actually utilize a basic construct of physics – momentum. By falling far enough, you will gain momentum, and thus – speed. This extra speed, when combined with additional portals to let the player freefall for longer periods of time, will let you fly across wide gaps. Whenever you figure out a momentum puzzle, it is both intellectually satisfying and physically exhilarating as you zoom across the room. The large array of obstacles that can cause death to the player presents a wealth of opportunity for dark humor. The antagonist to the player, a deranged AI construct, will alternatively taunt, tease, and cheer you on through the levels with lines such as "This challenge is impossible. Give up now." and "Good job. You, subject name, must be the pride of subject hometown." The lines, an example of excellent writing that has since failed to show up in other industry titles, portray a shizophrenic and unstable enemy AI that toys with the player and presents the game with loads of personality. Far from being a sterile puzzle game (as the level environments may suggest), the disembodied voice is a (also inexpensive) great way of livening up the experience. In fact, GlaDos forms the main thrust of the plot. Environmental clues, such as looking at yourself and seeing that you’re in a prison-esque orange jumper, provide much of the context, but it is GlaDos who pushes you forward. By her taunting and encouragement, the player is guided through the elaborate maze-puzzles, which GlaDos treats as a routine test. Along the way, scribbles by people who have come before you that say "The cake is a lie" and other cryptic phrases imbed suspicion into you until you finally defy your guide and captor and try to break out. This reversal of GlaDos from guide and mentor to ruthless, heartless, and demented captor is utterly fascinating because it isn’t told in a cutscene. The player is placed front and center and has to make the decision for himself to defy GlaDos, and afterwards, things hit the ground running as the player, quite literally, runs nonstop to escape GlaDos. 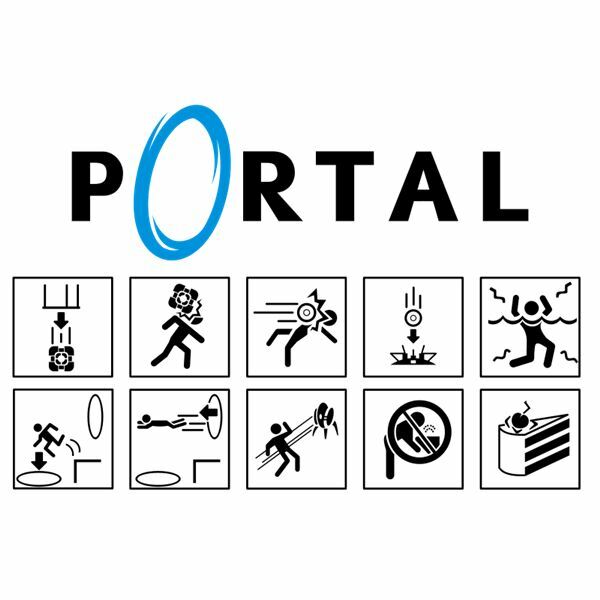 Portal began as an independent student project, but emerged into the mainstream as one of the best games of 2008. It was the media and blog darling for months as critics lauded its innovative gameplay and story mechanics. Hopefully, the lesson to big game publishers is not to make Portal clones, but to invest more time, attention, and money to indie projects.